Protesters prevent Thais voting Jump to media player Millions of Thais are heading to the polls to vote in a general election boycotted by the opposition and blighted by protests, but some polling stations have been blocked by demonstrators. 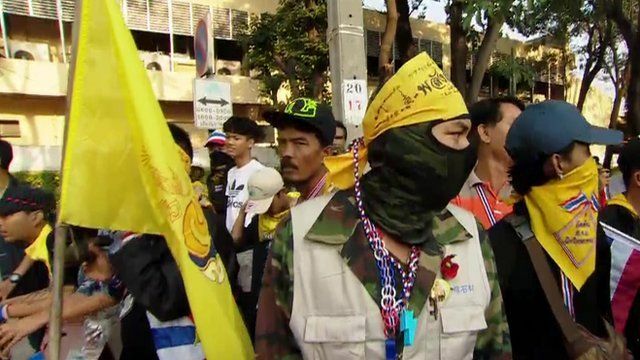 Gun battle ahead of Thai poll Jump to media player At least six people have been injured in gun battles in Bangkok between government opponents and supporters, a day before Thailand's general election. 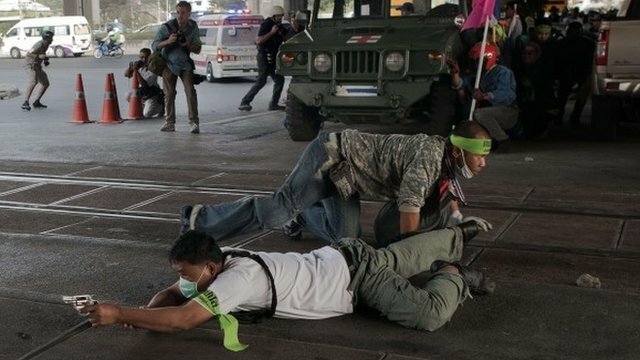 'I thought I wouldn't survive it' Jump to media player Several people have been injured by gunfire in Bangkok, during clashes involving anti-government protesters. 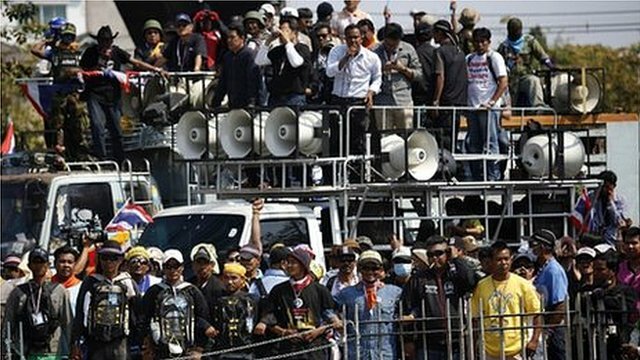 'Thailand's democracy at stake' Jump to media player The BBC's John Sudworth reports as anti-government protesters in Bangkok continue to block buildings where ballot papers are being stored, ahead of Thailand's general election. Thai protesters block ballot buildings Jump to media player Anti-government protesters in Thailand are blockading buildings where ballot papers are being stored, two days before the general election. 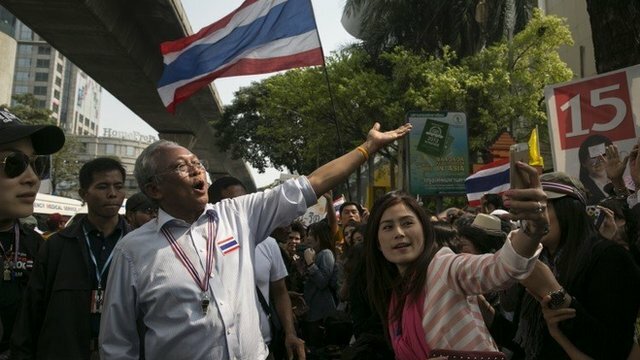 Thai activists told not to block vote Jump to media player Authorities in Thailand tell protesters to stop blockading official buildings ahead of early voting in a general election. Millions of Thais are heading to the polls to vote in a general election boycotted by the opposition and blighted by protests. Anti-government protesters have said they will disrupt voting across Thailand and continue their campaign to force Prime Minister Yingluck Shinawatra to quit. 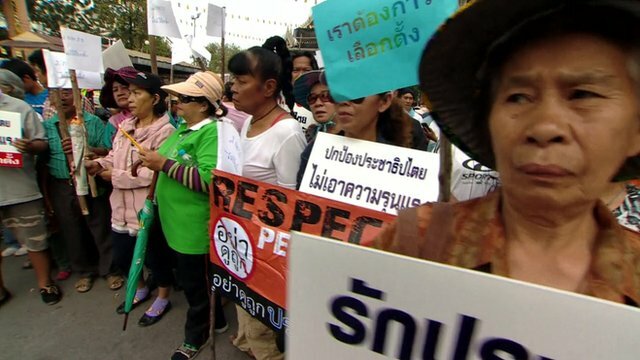 The BBC's Jonathan Head visited a polling station in Bangkok where would-be voters were unable to cast their ballots, as protesters had set up barricades around the venue.